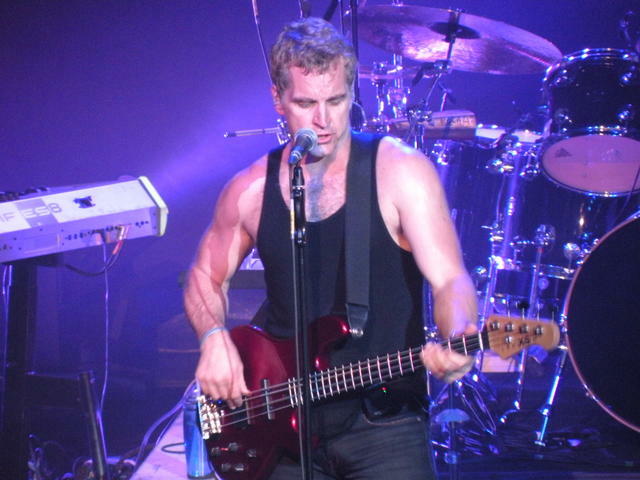 New pictures added... by Jean-François Desjacques. I'm pleased to present you new pictures added to the "Westcoast Music Festivals at Disneyland Paris" & "Michael McDonald at Casino de Paris 2008" albums shot by our friend Jean François Desjacques. Other Jean François's pictures of Larry Carlton, Steve Lukather & Toto will be posted soon... Enjoy! 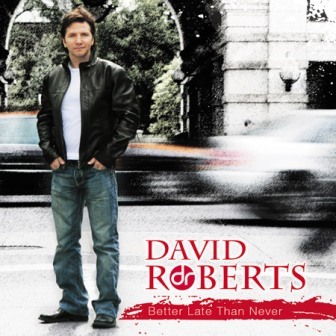 Congratulations to Arnaud Leger (from Westcoast Rendez-Vous staff) who has designed the frontcover of David Roberts new album entitled "Better Late Than Never" just released on Vivid Sound label in Japan. It's David Roberts first LP since his legendary album "All Dressed Up" back in 1982 considered as a Westcoast Music/AOR masterpiece. In early February 2008, Arnaud has imagined and designed the frontcover of Peter Friestedt "The L.A. Project II" LP for the Japanese release on Vivid Sound too. Soon, new cover designs from Arnaud especially for another artistry in Westcoast Music. Stay tuned! See here Arnaud's work in AOR/Westcoast Music. Here we are! 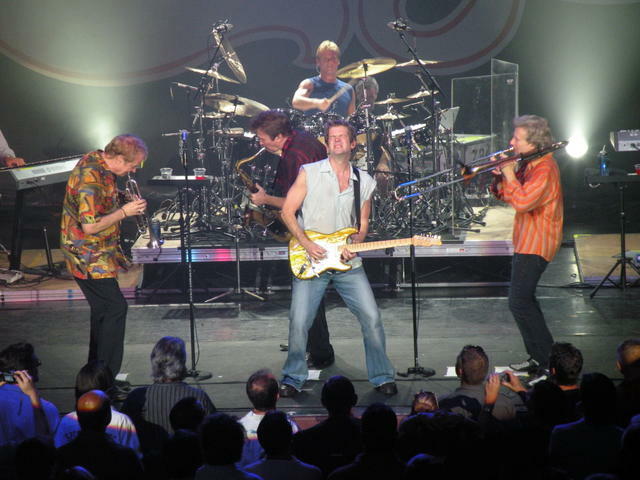 Please find at this address our special gallery of pictures about the band Chicago in concert in Paris on July 29, 2008 at The Casino de Paris. 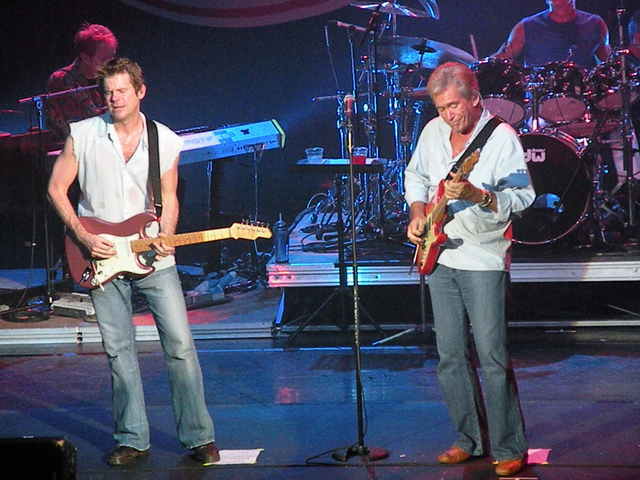 Enjoy the band (Robert Lamm, Bill Champlin, Keith Howland, Jason Scheff, Tris Imboden, Lee Loughnane...) and the amazing audience... The band was amazing and this evening is a wonderful souvenir. More than 40 pictures of Chicago in this gallery! Stay tuned here at The Westcoast Rendez-Vous blog. We will put online very soon two exclusive video interviews of Bill Champlin and Jason Scheff shoot in Paris! Photos : Copyright J.-L. Raymond. 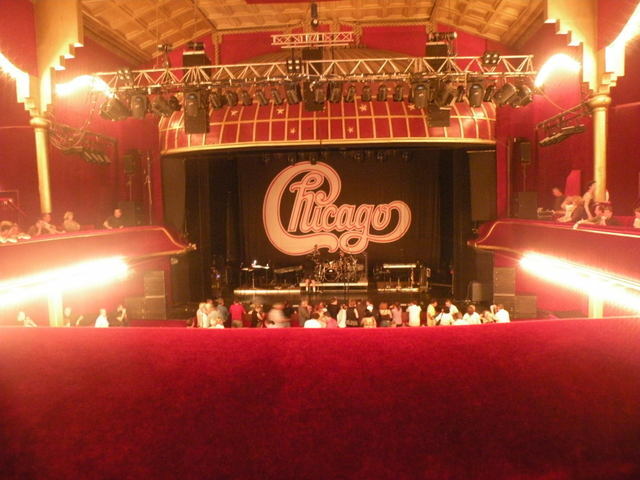 The concert of the band Chicago on July 29, 2008 at the Casino de Paris, Paris, France was quite exceptional although James Pankow and Walter Parazaider weren't in the band for this European tour (Nick Lane and Ray Hermann replaced them). 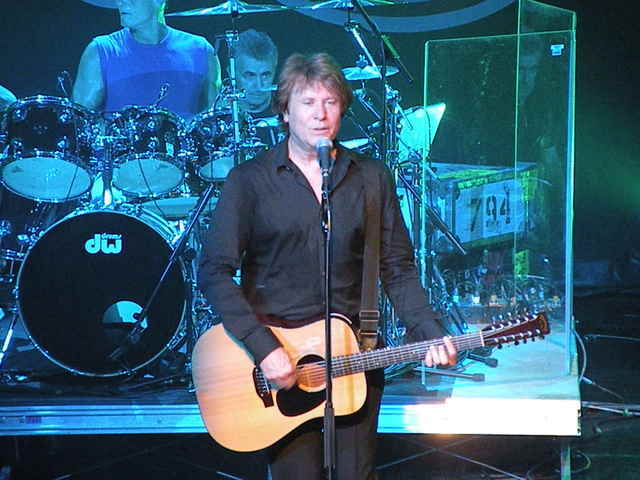 In The Casino de Paris, the concert was sold out with a real great ambiance and a lot of blasts from the past as well as more recent material (80s, 90s and the latest years). More than 135 minutes for a great gig. 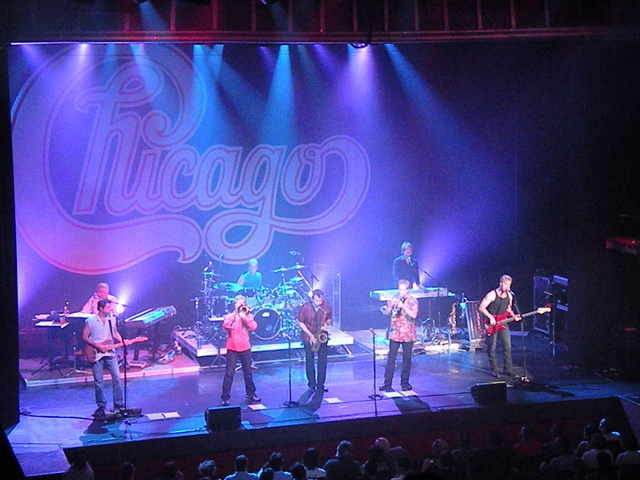 Let's imagine Chicago hasn't played live in Paris since 1976!! The audience was fabulous and quite expressive! If you have assisted to this concert or one of the Chicago concerts in Europe, please put your opinion and reviews in the comments of this message. 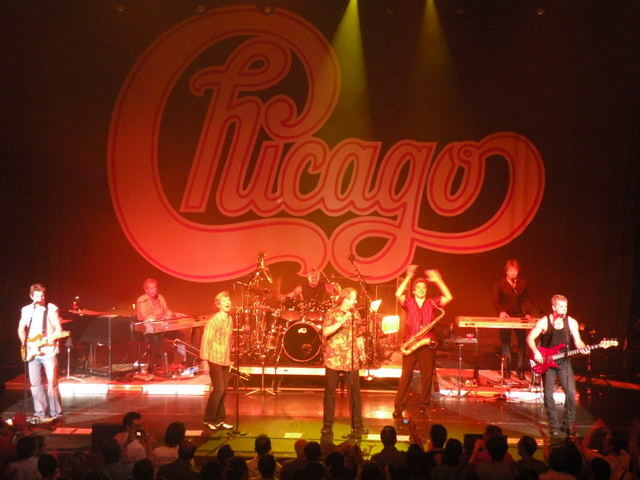 More to come on this blog, albums pics of the concert of Chicago in Paris and two exclusive video interviews of Bill Champlin and Jason Scheff shoot in Paris on July 29 in which they talk about Chicago (especially about the album "Stone Of Sysyphus"), their solo career, new collaborations and projects! Stay tuned! A very special thanks to Bill Champlin and Jason Scheff for their friendship and for making these interviews possible! On this New Year's eve, Westcoast Rendez-Vous Staff (Jean-Philippe, Arnaud and I) wish you a very nice Rockin' New Year with Peace, Joy and of course... Wonderful music. Arnaud has just added different photo albums in which you can fin memories of the 2 Westcoast Music Festivals (1996 and 1997 - at Disneyland Paris) as well as exclusive pics from Michael Ruff concerts in France, Bill and Mari Cantos past tour in France and pics archives of Westcoast Music artists. Enjoy! And we already have great surprises for you in 2004!